The ability of a system to adapt itself to situations, to reason, to link events, to define meanings, and to contribute to improving performance, demonstrates that the said system is intelligent. Referring here to: bio systems, social systems, economic systems and any system that has the ability to self-regulate. The answer to the challenges of the environment, the ability to collect and process information in the outside world, the potential to use resources to achieve objectives, transform true systems into competencies aggregations which, when emphasized, respond to the desiderata of organizations, but also to the ever increasing and complex demands of the markets. This article aims to present the connection between this type of intelligence and effective leadership of companies, a connection represented by the leaders and the exponential people within very well structured systems. In the analysis, will be used elements of multiple intelligence theories (Howard Gardner) and the Theories of Social and Emotional Intelligence (Daniel Goleman). The potential of each individual is unlimited at first; subsequently, the development of an individual, the personal and professional capacities being defined by the choices that the individual made, deeds in certain directions, and last but not least what challenges and situations the individual solved. Before talking about systems, biosystems or mere valuable items brought together, it is very important to start from the most important catalyst in the process, the individual. It is generally known that each individual has a unique way of thinking, having of course common views with other individuals as well. Howard Gardner developed this basic idea in a high-value work, “Frames of Mind” in 1983. The work introduces the concept of multiple theories and common differences between individuals in the literature at that time. Such theories were later studied thoroughly by the author in a second work entitled “Intelligence Reframed”, published in the year 1999. It is important to review the personality of the leaders of some of the first companies in the world (according to Forbes Global 2000) and the intelligence components they own, starting from the models of Howard Gardnera Daniel Goleman. Effective leadership of a company can thus be the effect of a “bunch” of smart people that have the power of decision. It is obvious that such an analysis offers the possibility of other developments as well. • Existential Intelligence – is identified by H. Gardner as responsible for the knowledge of the world (specific to philosophers). Another side of intelligence has been defined by Daniel Goleman, who presents a more general, but equally effective perspective on the introduction of theory, social and emotional intelligence. Goleman recounts in detail topics related to creativity, meditation, human transparency and the emotional and social learning style (Goleman, 1995). Fig. 1. Emotional Intelligence Source: Campbell R., Emotional Intelligence, 2016. The question that arises is whether the individual is born with emotional intelligence or if he develops it in contact with the events he experiences throughout his life. Self-awareness, emphasizing self-regulation, the ability to motivate and self-motivate, and the ability to be empathetic and the social skills represent characteristic elements of emotional intelligence that value the personality of leaders in very varied contexts. It is evident that the leaders that will be analysed are equally the product of contexts, but they are also producers of contexts. The specific set of values for each individual is created and strengthened in relation to: family values, educational environments in which the individual develops, the values of the professional environments the individual experiences, so that this set of values strengthens until the individual reaches 20 years of age, and then such set will be used by the individual throughout his entire life. Self-awareness has a great influence on the behaviour of individuals and manifests in close connection with self-esteem, but also with respect for others. The ability to be empathetic develops in relations with the environment. It must be ascertaining that there are also introverted individuals who are more attracted by the idea of isolation rather than exploring inter-human relations. Starting from this observation, people can actually learn that social skills are in close connection with the ability to be empathetic. This is the reason why in the case-effect report these five parameters (self-awareness, empathy, social skills, motivation, and self-regulation) are influencing each other and equally potentiates emotional intelligence. The “interior engine” which triggers the entire process of self-knowledge, but also the environmental knowledge, is represented by self-motivation. In any kind of situation, especially in crisis situations, the ones who make the difference between failure and opportunity for development are the productive leaders. They have the willingness to risk governing the feeling of insecurity and foreseeing the point until they can take risks. It is evident that there is an invisible boundary between courage and craziness. Crossing over this border can lead to genuine disasters, and therefore those who sense this border achieve exceptional results, the ratio between certainty and uncertainty clearly defines the notable differences between those who are successful and those who fail. The discussion is much ampler because it is necessary to analyse the system of values of these leaders from several perspectives: professional, social, family and spiritual. The variety of activities involving employees starting with trainings and teamwork, continuing with daily activities, encourages the ways of manifesting the team spirit and equally the individual initiative (Green, 2005). 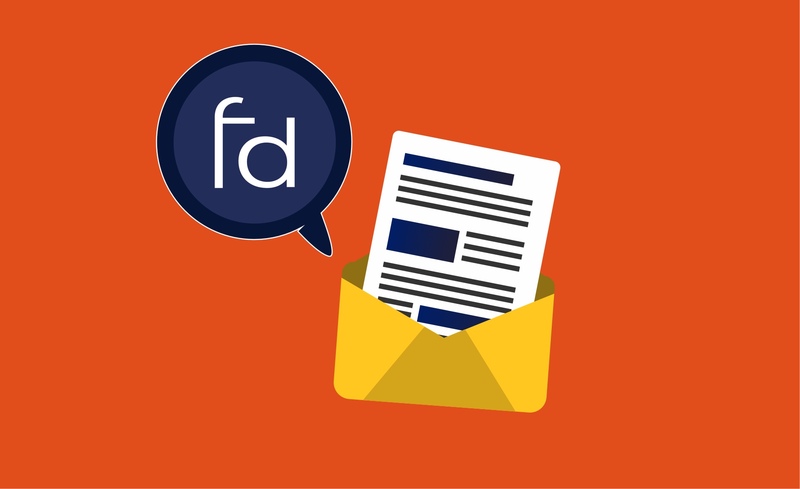 Even though the leader’s style is not easily identifiable from the outset, the results and the overall perspective provide relevant details in this type of analysis. Given the need for companies to be competitive, leaders project teams as elastic and effective structures in which problems can be resolved rapidly by providing surprising solutions that create competitive advantage (Green-Finger and Brand, 1999). In our analysis we want to highlight the way in which the various facets of intelligence manifest to three personalities from diverse social and cultural backgrounds. At the same time, we want to highlight the variety of areas in which the three personalities have manifested their values: Jack Ma in the field of electronic commerce, Bill Gates in the field of software, Phil Knight in the field of sports articles and clothing. Here we are considering their evolutions and development. A first example is Chinese Jack Ma, ranked on the Top 10 Forbes with a net worth of 41.9 billion dollars (on January 6, 2018). Founder and executive chairman of Alibaba Group, Jack Ma, like many others, is not the type of man who obtained success overnight. What differentiates him from anyone is the unprecedented level in the trade area developed by him and his team, but also of outstanding performance in view of several aspects. Here we refer to the living standard that did not indicate at all the results that Jack Ma currently has. Three important qualities that Ma has shown are: iron perseverance, analytical and tactical thinking, bold vision that has envisaged a distant horizon of time. From the perspective of Howard Gardner’s model (eight types of intelligence), Jack Ma achieved excellence in four of these (linguistic, musical, interpersonal and existential). Even though during the training period he did not have notable results in the field of exact sciences, the performance of the Alibaba company is exceptional, hence the use of intrapersonal and interpersonal intelligence provided him the opportunity to value those employees with exceptional capacities in other types of intelligence. As he has stated countless times, Ma has met numerous obstacles on the road to success. He was rejected in many selection interviews. A significant episode is the one in which he is narrating his experience when, taking part in a interview with 24 candidates, he was the only rejected candidate. Perseverance remained at maximum rates, and, in April 1995, Ma, his wife and a close friend, gathered $20,000 to set up his first company. The company was dedicated to creating websites for companies (China Yellow Pages). Jack Ma argued that although he had a team and a business plan on the online side, he did not even write a line of programming at his first start- up or in the construction process of the online commerce colossus, Alibaba. We can say that the type of predominant intelligence is interpersonal one, proven by the ability to generate results, the ability to acknowledge the current situation and available resources. Despite not being a programming expert, Jack Ma managed to build a team with the help of his friends and lead it. Since childhood, Bill Gates has manifested a logical mathematical intelligence which was out of the ordinary. His fortune is currently estimated to be worth 92.4 billion dollars (according to Forbes on January 6, 2018). Founding Microsoft company in 1976, Gates manifested a logical mathematical intelligence from an early age. In 1973, he enrolled at the prestigious Harvard University following the mathematics and computer science specialization. Gates was more interested in developing his own programming style, and when he thought it was an opportunity to found his own company, he left Harvard without completing his studies. In a few words characterization, Bill Gates has excelled by taking the calculated risks and organizing the company efficiently. With the development of Microsoft and himself, Gates has often stated that the most unhappy clients are actually the largest source of learning in an organization. Another good example from the efficiency leaders category is Phil Knight, former chairman and CEO of Nike, American multinational corporation engaged in footwear, apparel and sports equipment. Retired from the Nike managment after 52 years of activity, Knight began through a start-up together with his former University of Oregon running coach, Bill Bowerman. The start-up was made with the amount of 500 dollars, brought in by the two founders. Phil Knight excelled through intelligent hiring, getting involved directly into the recruitment process during the Nike development period. After a while after the foundation of the company, Knight was acknowledge as an accomplished leader even by athletes partners or Nike ambassadors. One example is the partnership made with the famous basketbalist Michael Jordan. Demonstrating contextual intelligence, Phil Knight managed to persuade Jordan to sign with Nike even though he was initially drawn to a competition brand of sporting goods. Following an open discussion with Michael Jordan, in which they discussed, first of all, the things that stood in the way of the partnership, the athlete was offered two unprecedented at the time key things: to customise his own pairs of basketball sneakers exactly as he wishes and pleases, and the second thing was that he had a line of footwear to bear his name. Like Jack Ma, the presented example shows that the predominant side of intelligence is the intrapersonal one. Knight’s ability to manage interhuman relations and to know very clearly his own skills and the direction of the company led Nike to the top companies in the field globally. In Figure 2, two essential dimensions of the leadership (internal and external) are harness together with eight leading roles belonging to four leading models. The human relations model is represented by the roles of mentor and facilitator; the open systems model is represented by the roles of broker and innovator; the internal processes model is represented by the roles of monitor and coordinator; and the rational goals model by the roles of producer and director. In relation to the models of human relationships which include the roles of facilitator and mentor, the leader emphasizes the commitment, cohesion and morale of the team, his participation in conflict resolution and the building of consensus offers him the ability to mentor with great empathic potential and facilitate while encouraging team orientation to processes thus contributing to skills optimization and individual employee development. From the perspective of an open systems model, leaders are put in the position to make quick decisions because they often do not have enough time to devote themselves to organisation and planning issues. Adapting to complex situations, creativity for problem solving, innovation capacity and anticipation of changes that will occur constitute elements that define the leader as a creative innovator and a negotiator in the difficult situations that arise. As an innovator, he facilitates adaptation and change, usually being visionary, while as a negotiator he is constantly concerned with sustaining external legitimacy and obtaining external resources. In fact, this situation demonstrates its ability to convince and influence. From the perspective of the objective- rational model, the leader aims to increase productivity and profit. His role is to be a deciding director and a pragmatic producer. As director, he emphasizes the setting of clear objectives and the pursuit of their achievement. As a producer, he is task-oriented encouraging the team to keep focus on work and show high interest and personal motivation. The internal processes model starts from the premise that a clear definition of procedures promotes stability. In the role of monitor, leaders check if employee comply with the rules while, as coordinators, they consider organizing and coordinating the team’s efforts. 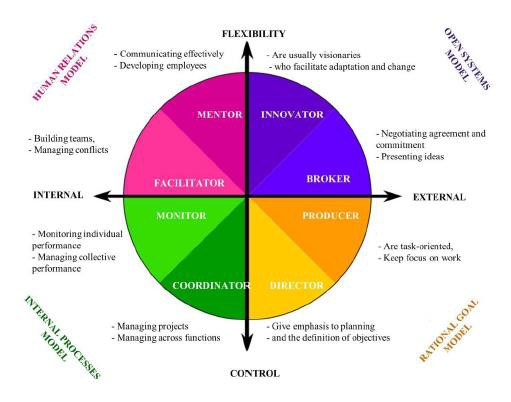 From the perspective of the model mentioned above, an effective leader is the one who can play the eight leadership roles simultaneously at certain times within the organizational environment. The three leaders previously analyzed (Jack Ma, Bill Gates and Phil Knight) were put in various situations to play the eight random roles during their lifetime: Jack Ma had the role of coordinator during the period in which he and 18 friends laid the foundations of Alibaba Group, Bill Gates highlighted the innovative role in Microsoft’s ascension to the top of the software companies, while Phil Knight showed his skill as a producer in the partnership with Michael Jordon that led to the creation of the most beloved brand of basketball sneakers (Air Jordan). It is evident that each leader has gone through all the roles at the right time, reaching later, through work and perseverance, to the present success. The analysis of the evolution of the three personalities has emphasized the importance of the environment in the evolution of leaders. Intelligence becomes catalysts in their activity and sets out the conditions for their entrepreneurial initiatives to become genuine successes. The environments from which these leaders originate are decisive because they shape their personality as being contexts in which leaders form, but, on the other hand, it should be noted that they are also creators of contexts in which significant social groups carry out their activity. The models used above (the model of multiple intelligences – Gardner and the model of emotional intelligences – Goleman) bring forward the variety of manifestation ways of intelligences, and the purpose of this article was to put into value the intelligences within the activity carried out by the three personalities presented above. Obviously there are dilemmas about the existence of intelligence as received from nature (genetic inheritance) or the manifestation of intelligence as a result of a personal experience. From the analysis we made, we can set forth the fact that, in the development of some leaders, the following elements were extremely important: the genetic landmarks, education, the socio-economic contexts and last, but not least, the fortuity of life. The socio-economic environment represents the melting pot in which the mixture of experiences, events and organization creates leaders that change organizations and the world. It is important to note that the three leaders have evolved in close connection with the technological developments. Intellectual skills and development in this regard resulted in remarkable results. Jack Ma placed Alibaba in an undeveloped field at the time, e-commerce. Bill Gates managed to build and develop a start-up while IBM was dominating the computer and technology systems market between 1950-1980. The multiple intelligences manifested through efficient leaders led to the development of the masses of people involved in the organizational environment from which these leaders are part. We are referring here to employees who have been directly influenced by these leaders, but also by people from the near or distant external environment. Through the manifestation of intelligence, such leaders have also provided examples and teachings to develop the human potential of society, not just the organization they belong to. It is important to have people who have social responsibility, ethics and desire for continuous development (both at personal and macro level). Intelligent people within society offer a helping hand, often being partakers in the past to a very low standard of living, and if they do not come from pauper environments, the broad perspective and comprehension at an excellent level of society leads to charity deeds, investments in key development areas or simple evidence of success, all together representing an exceptional added value. Starting from human potential, choices, sacrifices and teamwork, continuing with talent and intelligence (innate or developed), the outcome is a concrete one, that of efficiency. We believe that multiple intelligences are the basis for effective management and organizational performance. 1. Bass, B.M. (2001). Cognitive, social, and emotional intelligence of transformational leaders. Multiple Intelligences and Leadership, Lawrence Earlbaum and Associates, Mahwah, pp. 54-77. 2. Campbell R. (2016). Emotional Intelligence. https://radicalmentoring.com/emotional-intelligence-eq/. 3. Finger, M. and Brand, S.B. (1999). The concept of the ‘Learning Organization’ applied to the transformation of the public sector: the conceptual contributions for theory development. Organizational Learning and the Learning Organization: Developments in Theory and Practice, Sage, London. 4. Gardner, H. (1983). Frames of mind: the theory of multiple intelligences. New York: Basic Books. 5. Goleman, D. (1995). 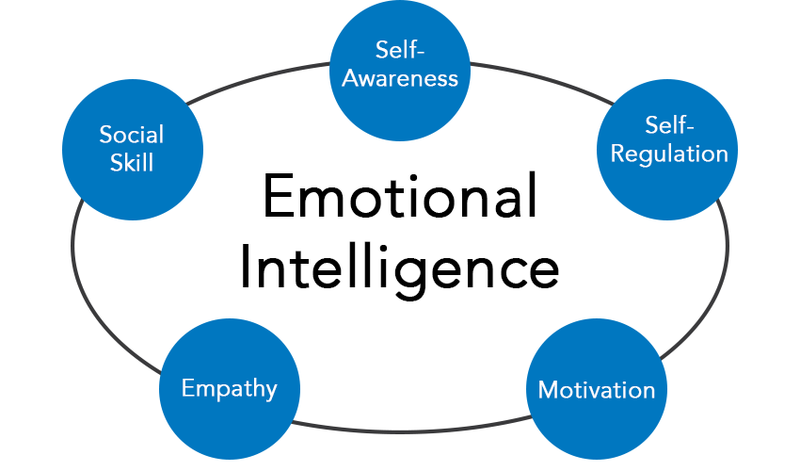 Emotional Intelligences: Why it can matter more than HQ. New York: Bantam Books. 6. Green, A.L., Hill, A.Y., Friday, E., Friday, S.S. (2005). The use of multiple intelligences to enhance team productivity. Management Decision, 43 (3), pp. 349-359. 7. Hoffman, B.J., Frost, B. C. (2006). Multiple intelligences of transformational leaders: an empirical examination. International Journal of Manpower, 27 (1), pp. 37-51. 8. Leavy, B. (2016). 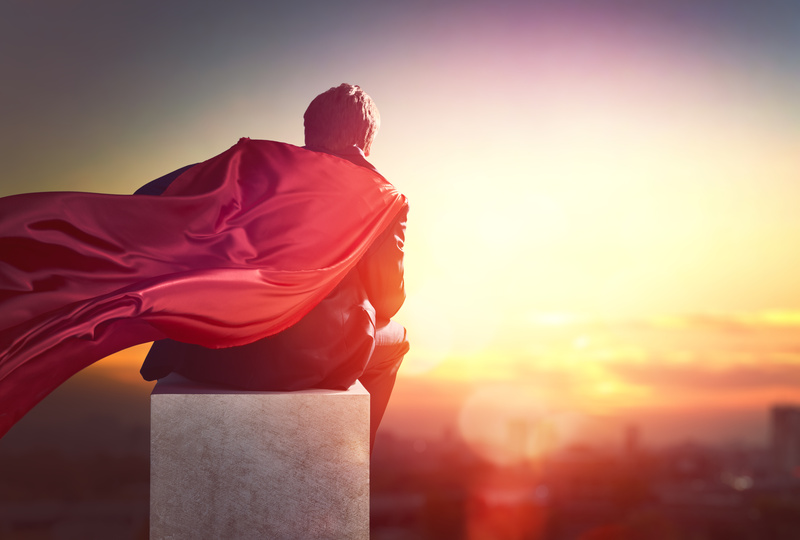 Effective leadership today – character not just competence. Strategy & Leadership, 44 (1), pp. 20-29. 9. Melo, R.C., Silva, M.J., Parreira P. (2014). Effective leadership: Competing Values Framework. Procedia Technology (16), pp. 921-928. 10. Weller, L.D. (1999). Application of the multiple intelligence’s theory in quality organizations. Team Performance Management: An International Journal, 5 (4), pp. 136-146.